Japanese e-commerce giant Rakuten is launching a cryptocurrency. 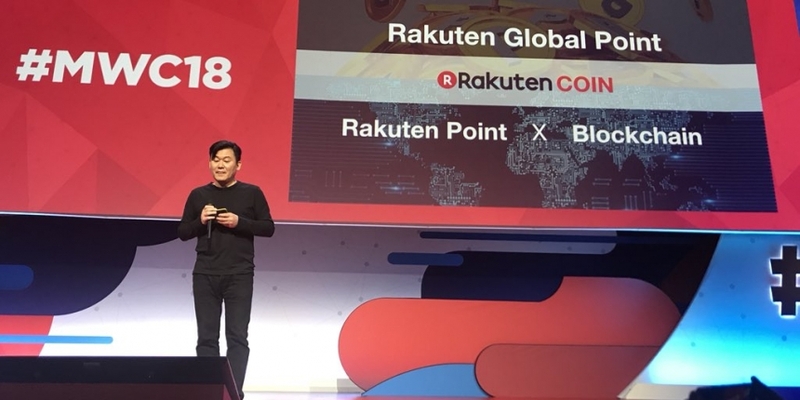 Rakuten CEO Hiroshi Mikitani unveiled the “Rakuten Coin” initiative – which will be used as part of the company’s points-based loyalty rewards system – during this week’s Mobile World Congress event in Barcelona. Speaking Tuesday, Mikitani pitched the project as a way to help the company expand its international customer base. It’s not clear at this time when the cryptocurrency will be launched, according to a report from TechCrunch. Still, the firm intends to eventually make Rakuten Coin available for use within all of its businesses, which in addition to its global marketplace includes a travel company, an on-demand video service and mobile messaging service Viber, among others. It also hopes to use the cryptocurrency to attract more international customers by positioning it as a “borderless” payment method that could mitigate exchange rate fees. The company has said that it already sees international demand on this front. Rakuten – often compared to Amazon – has long been associated with cryptocurrencies, dating back to 2015 when it moved to accept bitcoin through payment processor Bitnet. It subsequently invested in Bitnet and then tapped two of the startup’s former employees to create a Belfast-based blockchain lab following a 2016 acqui-hire. With the Rakuten-branded cryptocurrency, the e-commerce company is taking some of that work and advancing it to its global customer base. The idea is to mobilize the interest around cryptocurrencies in a bid to attract new customers to its loyalty program, which has awarded more than $9 billion worth of points since it first debuted in 2003, TechCrunch reports.